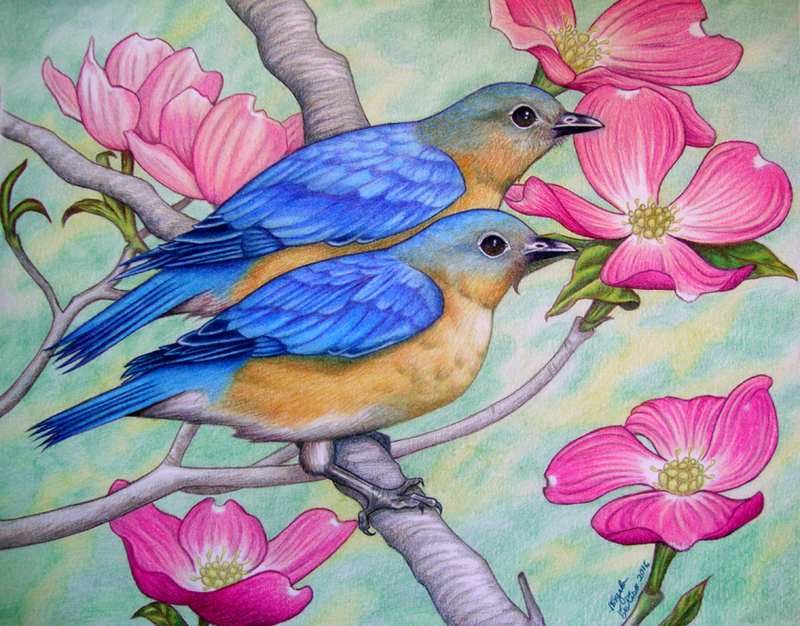 Recently finished a 11″ x 14″ piece of a pair of Eastern Bluebirds, and just wanted to share this as a quick update. I don’t have any other work in progress at the moment, but will share once I start up again. 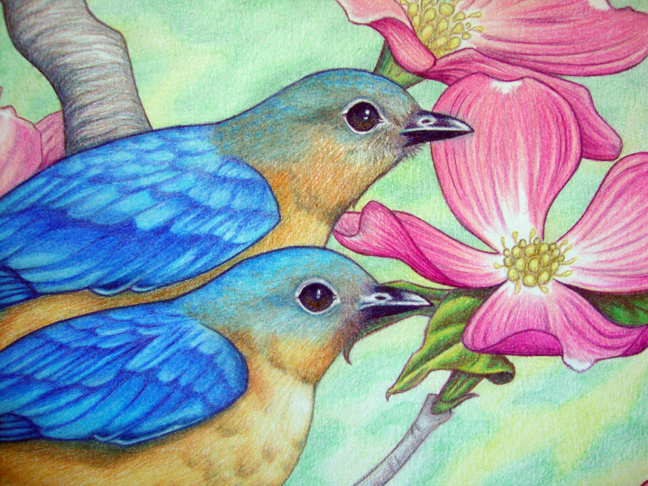 I chose to add pink Dogwood flowers in the background as a compliment to the bluebirds. The birds are a male and female pair, as you may note the slightly duller plumage on the head of the bird behind the brighter male. Here is a nice closeup of the birds. That’s it for now. I’ll post again soon.